The TCHS Swim & Dive Team is selling Timber Creek Yard signs again this year through October 31. The signs are built from a thick, durable PVC that will withstand the strong North Texas winds. 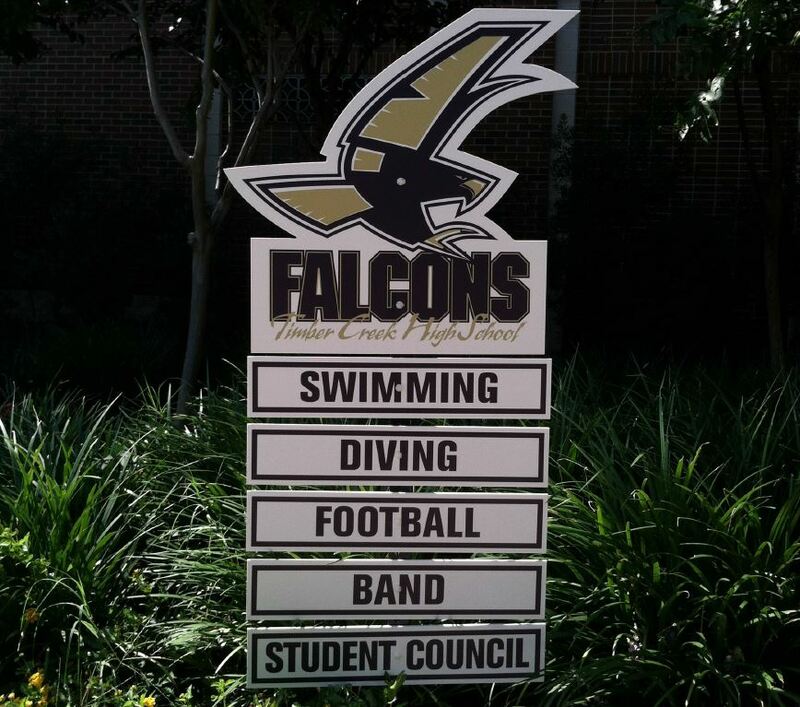 Signs include a Timber Creek Falcon logo on a heavy metal pole and start at $50 per sign. Activity riders that connect to the pole below the logo are available for many TCHS activities at $8 each. Please return completed forms and your check to Coach Lorenz in room N 218.